The Wapichan, who live in southern Guyana, have just completed a high-resolution map of their traditional lands to justify their claim for legal title. They want 14,000 square kilometres to be protected as a community forest. Guyana’s government has so far ignored their proposal. But the Wapichan are facing more than just an intransigent government. Many environmentalists are not convinced that handing control of land to local communities is a good idea. They fear that, given legal custodianship, most poor rural people would take machetes to their forests rather than protect them. New research shows this fear is mostly misplaced. Community control, it turns out, conserves forests and possibly wildlife, too (see “Stop extinctions, stop slavery“). What’s more, by keeping carbon trapped in those forests, it may help stop climate change. A report from the World Resources Institute and the Rights and Resources Initiative, both in Washington DC, reviews over 130 earlier studies in 14 countries. Securing Rights, Combating Climate Change concludes that most communities are better forest custodians than governments. These communities are made up of indigenous people with the legal right to control what happens in their ancestral lands. Like the Wapichan, they want to protect the natural resources they depend on. The report finds that, in the Brazilian Amazon, deforestation since 2000 in areas under the control of groups like the Yanomami and Kayapo has been at 0.6 per cent, compared to 7 per cent outside. The report also cites the case of Indonesia, with just over 2 per cent of its forests under legal community control. This may explain why it has overtaken Brazil as the country losing forest cover fastest. In Guatemala’s Peten region, which includes the Maya Biosphere Reserve, the rate of forest loss in government-protected areas is 20 times that in areas under community control. Only communities are able to repel encroaching cattle ranchers, says Andrew Davis of Fundación PRISMA, a research institute in San Salvador, El Salvador. The report builds on a global analysis in 2012 by Luciana Porter-Bolland of the Institute of Ecology in Veracruz, Mexico. She found that on average, government-protected tropical forests were cut down about four times as fast as community-managed ones (Forest Ecology and Management,doi.org/fw53dp). These findings fly in the face of the “tragedy of the commons”, the idea that collectively owned resources are doomed because everyone grabs as much as they can until they are used up. Instead the evidence supports the ideas of Elinor Ostrom of Indiana University, who shared the Nobel prize for economics in 2009. Over a lifetime of study of how communities manage natural resources, Ostrom found that tragedies of the commons rarely happen, at least not if communities control their own resources or can work with their neighbours. Communities mostly work out practical rules for sharing and managing their resources, as they have more to gain by finding common cause. The problems usually arise, she argued, when outsiders, including governments and well-meaning conservationists, intervene. It now seems community forests have a significant role to play both in protecting biodiversity and in locking away carbon that could cause climate change – some 37 billion tonnes of it, the report says (see map). “Strengthening community forest rights is critical to mitigating climate change,” says Jennifer Morgan of the World Resources Institute. “We can increase carbon sequestration simply by transferring ownership of forests from governments to communities,” says Ashwini Chhatre of the University of Illinois at Urbana-Champaign. In a 2009 study of 10 countries, he found that “greater rule-making autonomy at the local level [is] associated with high carbon storage” (PNAS, doi.org/dhgk42). The trouble is that only a minority of forest dwellers get a chance to show how well they can manage their lands. 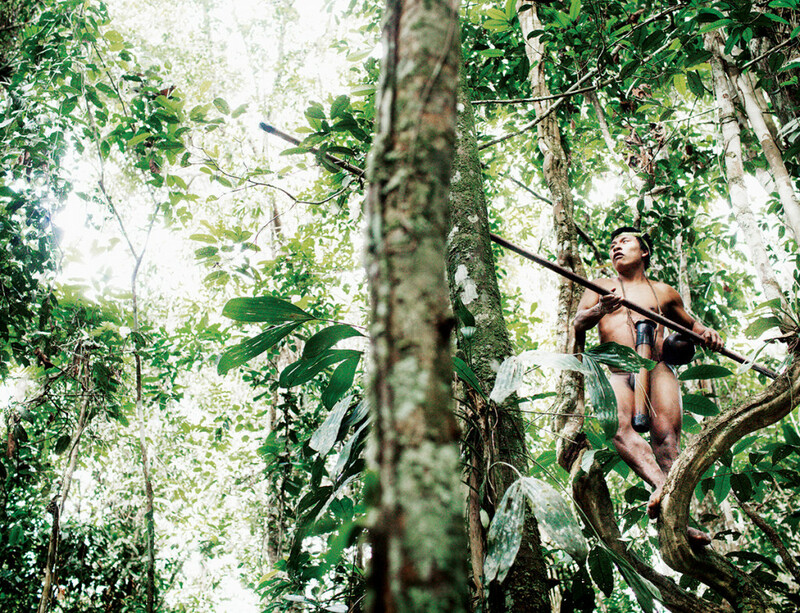 Such communities have legal control of just an eighth of the world’s forests. The rest are mostly controlled by governments, or leased for logging or mining, often in defiance of community claims. Yet “no one has a stronger interest in the health of forests than the communities that depend on them”, says Andy White of the Rights and Resources Initiative. Forests provide their residents with shelter, food, water, medicines and livelihoods. As a result, communities defend their territories to the death, says Kaimowitz. Last year Charlie Taylor, an Amerindian from the forests of Nicaragua, was shot dead by ranchers after he confronted them on his community’s land. He literally sacrificed his life for his forests.